Proposition 65 is a California regulation that requires businesses to provide warnings to California consumers about exposures to chemicals that may cause cancer, birth defects, or other reproductive harm. These chemicals can be in products that are purchased by Californians, in their homes, workplaces, or that are released into the environment. It also prohibits California businesses from knowingly discharging significant amounts of listed chemicals into sources of drinking water. The list of chemicals is published by the governor and contains over 900 chemicals. Effective August 30, 2018, this warning must be made available prior to a purchase, either by catalog or website, for any products containing such chemicals. Depending on the specific facts, Prop 65 may be enforced by district attorneys, city attorneys, or any individual acting in the public interest. As such, many lawsuits and violations have been filed by private citizens and city officials alike. Over 90% of violations issued thus far were for products containing heavy metals and phthalates. Penalties may include fines of up to $2,500 per day, per violation, as well as injunctive relief. For more information, or if you have any additional questions, we’ve linked additional resources here. Distributors now have a legal obligation to warn their clients prior to purchase as well as prior to exposure. Everyone in the supply chain — suppliers, distributors, and end buyers — are considered responsible for delivering safe products. This means being aware of these product safety changes in your sales process as well as the language regarding these changes on your website and in your catalogs. This also affects internet sellers, including distributors’ websites. If necessary, warnings must be provided online prior to purchase, even if the product itself has a Prop 65 label. Suppliers can now update their products as Prop 65 compliant if the products are made with safe materials and do not require a warning, provide documentation if exposure to chemicals are below safe harbor thresholds and do not require a warning or add warning labels if exposure to chemicals is above safe harbor thresholds. 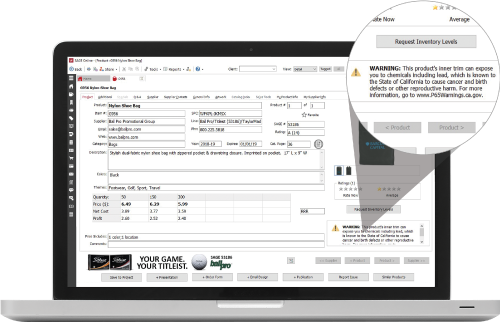 All SAGE services – including distributor-facing and end-user facing services –support the new warning label capabilities. 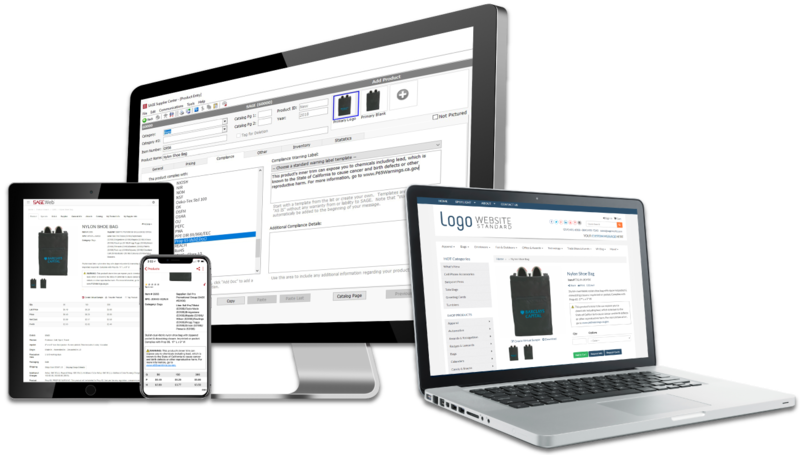 Suppliers have access to the necessary tools to add warning labels through the SAGE Supplier Center, SAGE FastTrack, and SAGE Supplier Direct Connect. They can also upload supporting documentation in the SAGE Supplier Center. Distributors can search for products that are Prop 65 compliant in SAGE by checking “Prop 65” in the Standards field. 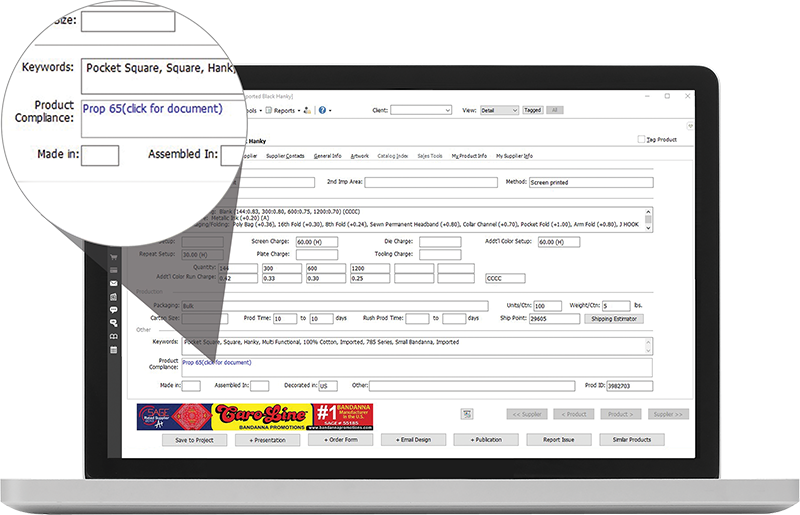 Distributors can also access all of the compliance documentation that has been uploaded. Suppliers should update their products in one of three different ways to show distributors that your products are compliant or completely safe. The products are made with safe materials and do not require a warning. Prop 65 compliance option should still be checked to indicate product has been addressed. Provide documentation if exposure to chemicals are below safe harbor thresholds and do not require a warning. Add warning labels if exposure to chemicals is above safe harbor thresholds and provide testing documentation if applicable. See reference guide for step by step instructions. Click on the Compliance tab. If your product does not require a label, but is Prop 65 complaint, you can add your testing documentation by clicking "Add doc." Once you’ve uploaded the documents, they will be shown to distributors across SAGE platforms. If your product does require a label, choose from one of the six standard warning label templates. It’s up to the supplier’s discretion which template to use, but note the label must be the same everywhere the product is advertised and on the actual product itself. Long forms are editable allowing you to specify the identified chemicals in the product. Short forms are not editable. The yellow warning exclamation point and "WARNING:" will not appear in the SAGE Supplier Center, but it will automatically show across SAGE services. Please contact your SAGE Account Executive. On the product search screen, under “Made In”, there’s a field titled “Standards”, which as a list of all available standard compliances. By selecting “Prop 65” from the list, search results are narrowed down to products that are listed as Prop 65 compliant. Suppliers can upload supporting documentation if their products have been tested and don’t need the new label, and suppliers will be able to add the label to the necessary products within their product data in SAGE. 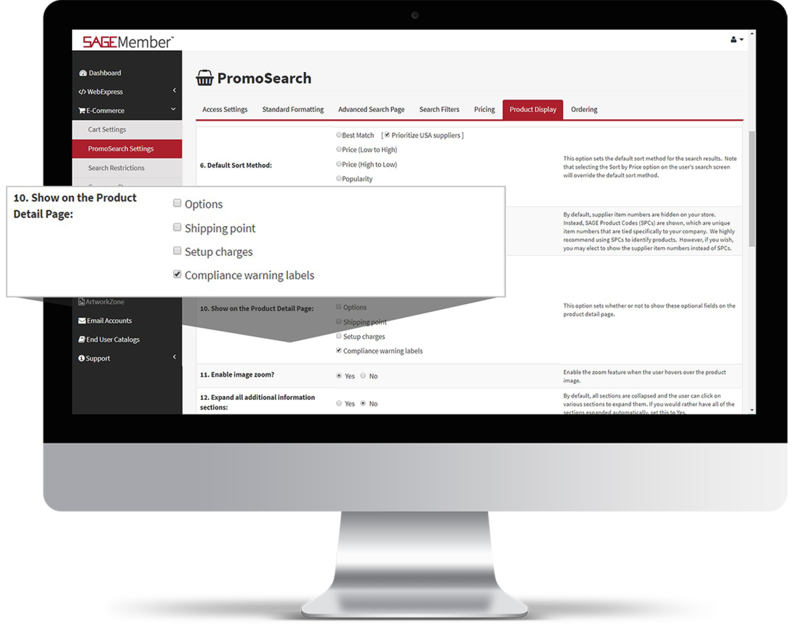 You will be able to see if a product is Prop 65-compliant by the warning label beneath the product image, or by viewing the status in the “Product Compliance” field under the “Additional” information tab in SAGE Online. 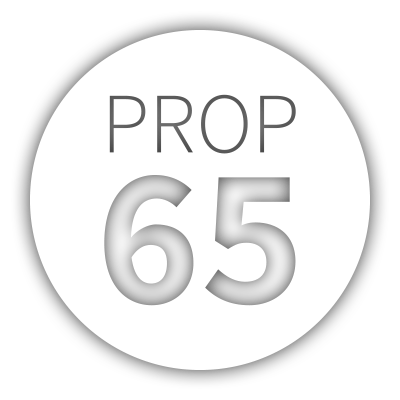 Also, on the Additional information tab, distributors will be able to view the supplier’s Prop 65 documentation. Once the warning labels have been added by the respective supplier, they will automatically appear for any distributors located in California. If you are not located in California, the warning labels will NOT automatically appear. However, you have the option to turn this on or off by logging into sagemember.com. Configuring your SAGE Website to show compliance warning labels. This feature is automatically turned on for all distributors located in California. If you are outside California and would like to turn this feature on please follow these steps. 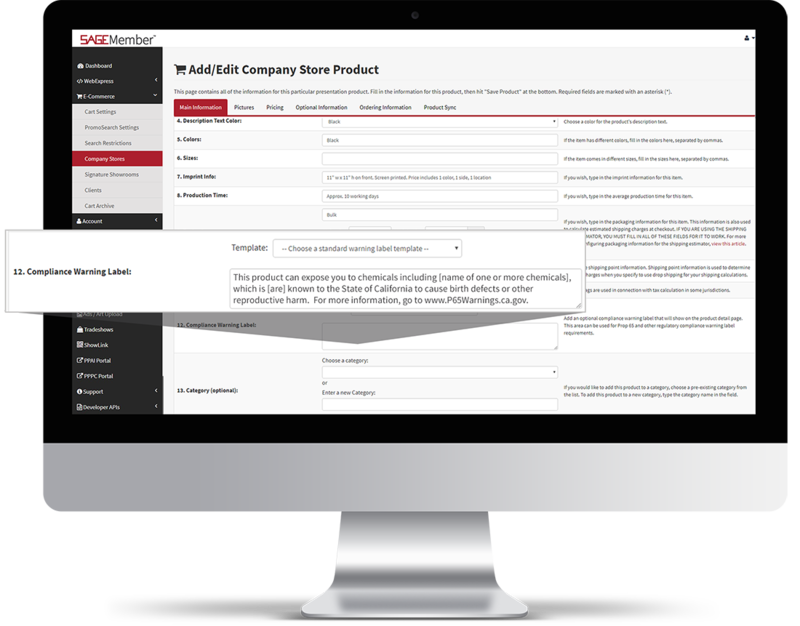 Configuring your SAGE Company Store to show compliance warning labels. 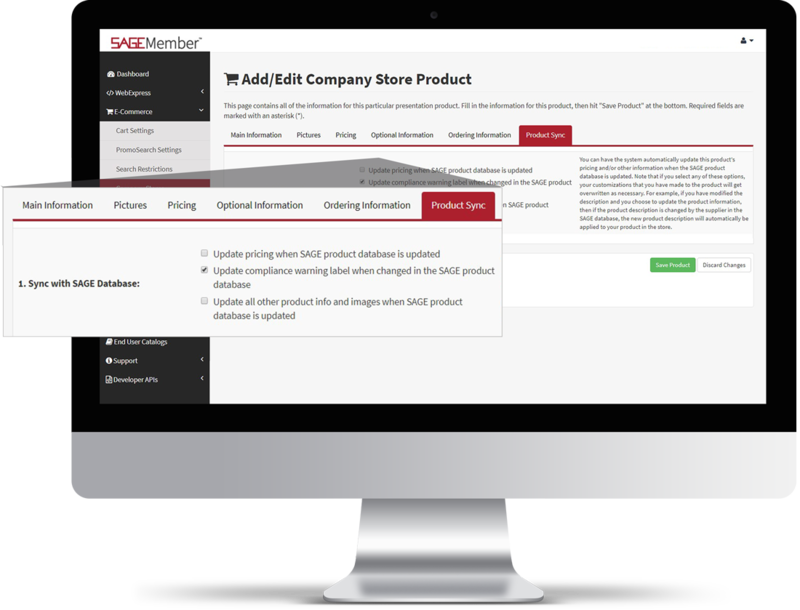 Configuring your SAGE Company Store to automatically update compliance warning labels. 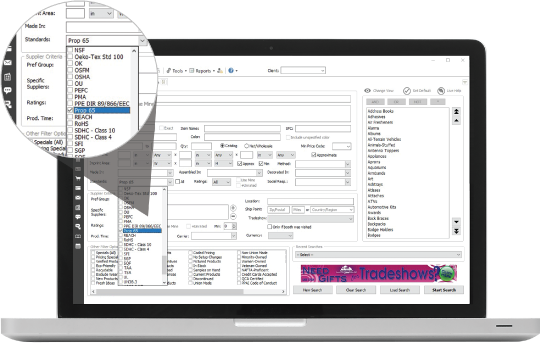 Configuring your SAGE Showrooms to show compliance warning labels. Beware of adding labels that might not match the supplier’s product! You can be held liable for this information. Check the “Show” box right above the “Compliance Warning Label” field. Keep in mind: Both the “Show” box and the “Print warning labels” boxes have to be checked in order to show labels in presentations. For specific questions on how new Prop 65 regulations will be administered, you can contact the Office of Environmental Health Hazard Assessment at P65.Questions@oehha.ca.gov or by calling 916.445.6900. Please note that the information provided on this page is not legal advice and as with any law or regulation, you should consult an attorney or other expert in this field to discuss your particular situation and obtain specific advice. SAGE is not responsible for verifying compliance information provided by suppliers. Distributors are encouraged to confirm compliance regarding Prop 65 and other regulations and laws, as applicable, with their respective suppliers.